Anti prorat will detect and remove a trojan called prorat. Prorat is well known to be the most hard to remove trojan in the word, almost all ant virus can't not remove it from your computer. the ALL new Anti Prorat will detect and remove it within 10 seconds or less and fix all damage caused by this harmful trojan. By uploading a photo of the car to the program, users can instantly change the bodywork color or choose new aluminum rims. Most elements of the car's frame can be changed with the available tools in a second - add new stickers, type words or slogans, or add headlamp eyebrows... in a moment! The program also gives you the ability to shade the head and rear lamps, and the windows. All the optical car tuning changes can be instantly viewed in the program. The new design can then be printed on paper. During their design work, users can listen to any music they wish, thanks to the inbuilt MP3 player. 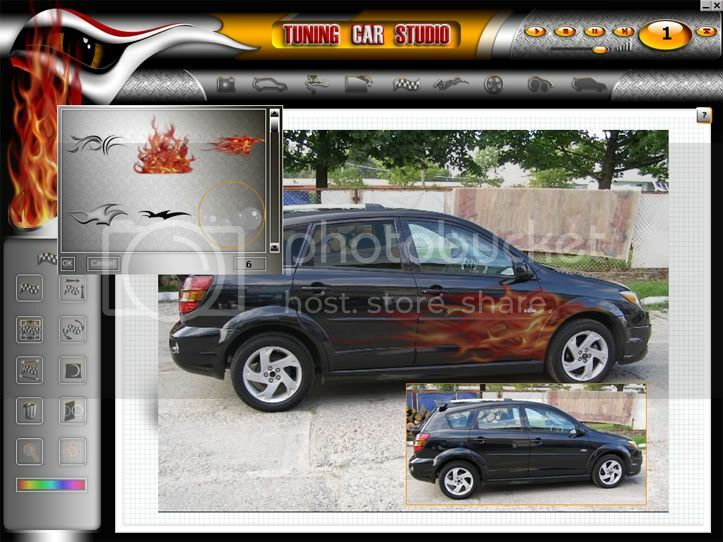 Using TUNING CAR STUDIO is easy and intuitive. All the tools are thoroughly described in the help file, implemented into the program. If you're looking to tune your car and design new elements, remember to try it out first in TUNING CAR STUDIO - the latest optical car tuning software utility. Este un emulator pentru jocurile-programe de pe telefon.